We’ve all heard about how great content is and how important blogs are for businesses. However, when you’re creating content for your website, how engaged are your readers? Sure, you post a number of blogs each week, but do your visitors stay long enough to read it and share it with their friends, colleagues, acquaintances, and family on social media? 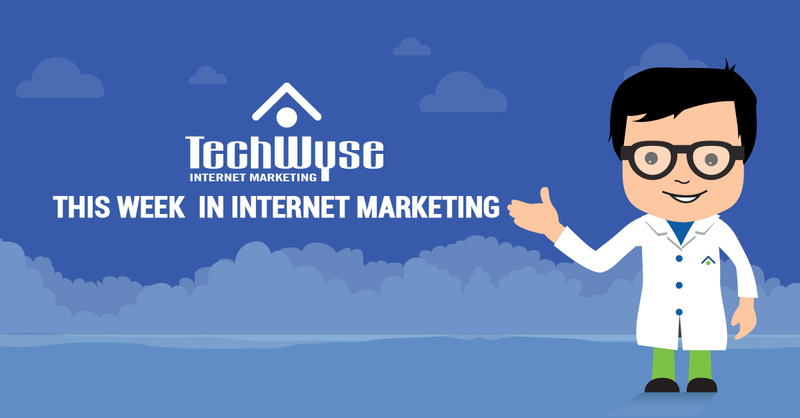 Unfortunately, the frustrating process of making an exciting blog post discourages many site owners from making an effort. However, there are steps you can take to make that process easier, more fun, and more effective. 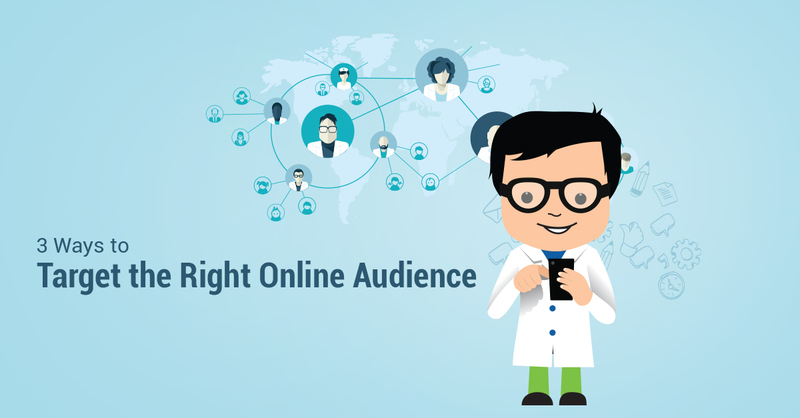 Before you start blogging, learn about your audience. If you don’t, you will create irrelevant content that nobody cares about. First of all, spend some time researching about the people you want to reach, so you can give them the value they need. Don’t forget that your audience includes your customers, prospects, partners, and influencers, so make sure to provide value for all of them. Consider utilizing tools such as LinkedIn Groups or Facebook Insights to learn more about your audience. Don’t simply focus on their demographics, but also their behaviors and interests. Don’t forget that you write for your users, so let them guide your content creation. Now that you know who you want to reach, you need to think of your blog post topic. To get started, make a list of everything that comes to your mind. However, make sure you stay focused on what your audience needs and wants. Remember, you are writing for them, so don’t get too far off track. Let’s say you want to impress your customers and boost the awareness of your brand. Think outside the box and regard your blog post as a way of serving your customers beyond their expectations. For example, you can write a blog post in which you teach them how to use your product in a new and exciting way. Would you like to know how to turn an old ladder into a bookshelf or a tennis racquet into a trey? It surely sounds interesting to find out. Moreover, when planning your blog post, make sure it solves the problems your readers face. To get an idea of how to approach a subject, find other blog posts that deal with similar topics and read what people say in the comments. Good blog posts might contain instructions for performing a task, tips and tricks for doing something better, or lists of available tools that can boost efficiency. Headlines are your chance to make a good first impression, so don’t miss that opportunity to hook your readers into hanging around long enough to read, comment, and share. Therefore, you need to get the most from them by making each headline interesting and compelling. For example, were you to write a blog post about painting wood, you might create a title such as “The Ultimate Cheat Sheet On Paint” or “Why We Love Carpentry (And You Should, Too!)”. What you should also keep in mind is that specific titles work better than vague ones. Consider these two – “Some Ways to Change Your Old Thing” vs. “10 Tricks to Repurpose Your Old Ladder into a Fantastic Bookshelf”. There’s no doubt as to which one works better. You can create your title first, or you can wait and create it after you have written your post. Either way, never underestimate its importance in getting your visitors to read the post. Remember this simple sentence: know your topic. Neither your readers nor search engines will appreciate carelessly written posts by authors that have no expertise. If you do not already know important things about your topic, spend some time on authoritative websites that have verifiable facts you can use. Go to a library if you need to. Ask an expert. Let both responsibility and curiosity drive your research effort. When you have sufficient knowledge, spice up the topic with your own ingredients. Provide a unique perspective and try to offer something new. Get creative and presents connections between concepts that might at first seem unrelated. You should aim to give your users information and an experience they cannot find anywhere else. Add excitement to your blog by engaging your users with thought-provoking or controversial subjects. If you manage to challenge and amuse your readers, they will enjoy their experience on your site and share your posts with others. You don’t have to bend over backward and invent a time machine, but it pays off to surprise them while they are reading. Try writing unexpected emotional appeals that inspire fear or joy – a study shows there´s a correlation between emotional reactions and content “virality”. The more people feel, the more they will share. Don’t hesitate to leave readers with questions that promote dialogue. However, you want to avoid anything that could be considered offensive, so use common sense and be sensitive to the feelings of others. OK, let´s say you have decided on your topic, done your research, and planned your post. Now you actually have to sit down and write the text, which is not an easy task. Therefore, in order to put yourself in the writing mode, you need to write under circumstances that suit you best. Find the best time and place for your writing. Evaluate your habits and your results to find out if you should do all your writing in a single sitting or break it up with multiple writing sessions. In any case, do everything you can to avoid distractions while you write. Don’t worry if writing takes too long or if you feel stuck. Relax and take it up again later. Sometimes the best content takes several days to create. The effectiveness of your content also has a lot to do with its structure and presentation. Although long posts make sense, use short paragraphs and break up your material to avoid large blocks of text. A lot of text without empty spaces can be exhausting for the eyes and difficult to read. Don’t waste your good article by making people go away because of its visual presentation. Similarly, use short sentences to improve the readability of your post. Moreover, consider formatting options such as subheadings, bullet points, bold text, and highlights to help readers scan your content for the most important points. Of course, the writing style also affects the success of your blog post, as well as your word choice. If you choose an academic writing style or use too much technical jargon, you might annoy and bore your readers. If your post teems with fancy words and elaborate phrases, you readers might feel patronized. Therefore, you should avoid wordiness at all cost and use common language that effectively communicates your thoughts. Whatever you write, try to maintain a friendly, conversational tone and use words that match your audience. For example, youth might respond favorably to writing that incorporates slang, but business people might expect a more formal and dignified tone. Knowing your audience really goes a long way. 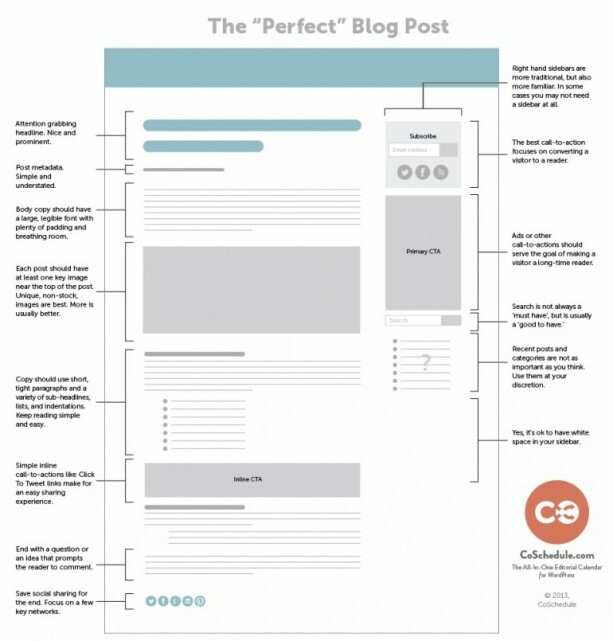 A visually appealing presentation of your blog post will enhance your message. It can even make a seemingly uninspiring topic exciting. When you write a blog post, don’t just use plain text – the impact of your writing will be more profound if you incorporate some visual elements. Add images, infographics, and videos to reinforce your points and captivate the attention of your readers. Try using tools such as Canvas, Piktochart, YouTube Remixer and others to create visual materials that will make your site come alive. Grammar and spelling errors make you come across as unprofessional and careless. Always proofread your work before publishing it online. Online tools such as Grammarly can help you identify and eliminate grammatical errors. If possible, involve another team member in the process to help catch and correct errors you might have missed. Also, trim any redundant material and fluff, and make sure your ideas have a logical flow throughout your post. Don’t fear multiple revisions – keep working until you get the job done right. 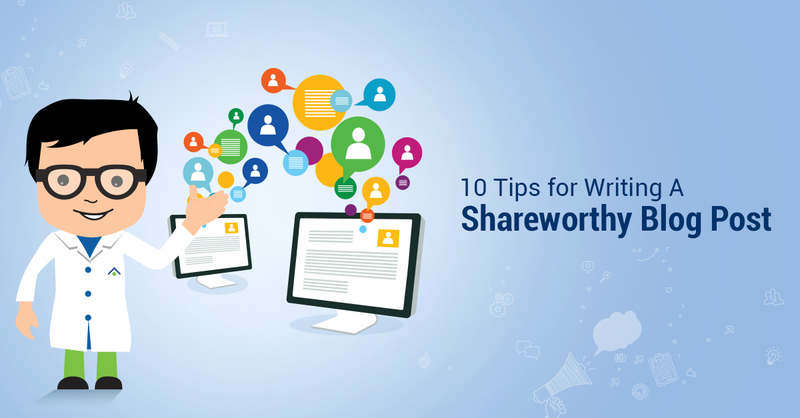 The ten tips you just read will help you create amazing blog posts that captivate your audience and boost the effectiveness of your website. When properly executed, your blog will drive a steady flow of visitors to your site and spread the awareness of your brand. It surely sounds tempting enough to make an effort and write good, quality posts. Natalie Smith is a freelance writer based in Seattle. She covers topics related to digital marketing, blogging, social media, customer service and business in general. 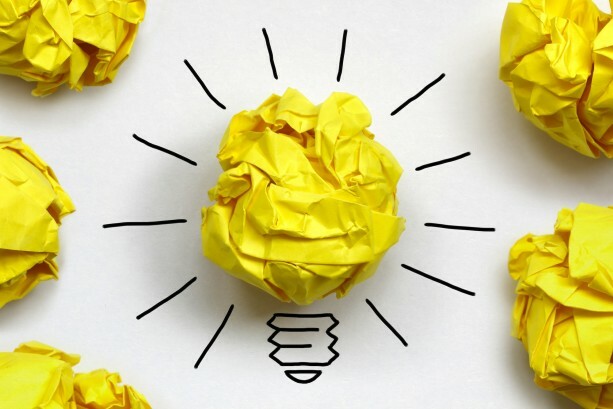 Great stuff, brainstorming is key as the best ideas don’t always come out immediately. I also find keeping a record of ideas at all times is useful as you never know when you’ll think of a great topic or catchy title that just won’t come while you’re sitting in front of your laptop.